WORLD INSTRUMENTS - ARTE AMAZONIA provides a global voice through art for the indigenous cultures of the Amazon. This bight and colorful hand drum is just right for small ones - roll it in the hands and make a rhythmic sound. Made in Peru - 16.5 cm. 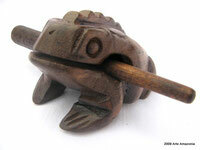 A fun toy for all ages... hold the stick and spin the frog which is attached by a cord and hear a little sound. Colors Vary. Peru & Ecuador Dried seed pod shaker that are dried out in the sun. Sizes vary slightly. Double headed mini drum, shaken with wrist action, very good quality and price. originally an Indian instrument. 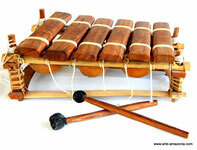 An awesome 6 Note xylophone hand made from Gambia the coast of West Africa! Amplified by gourds underneath the wooden keys and not turned to the western scale. These African Shakers are colorful and fun! 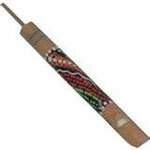 The handle is wood wrapped in bright and colorful African cloth. 28cm. Panpipes are thought to have originated in the high andes, where their sound would echo the god's whistling in the high mountain passes. 15cmx8cm -Color band varies. 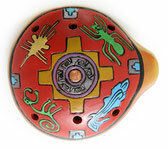 This ocarina is hand painted with traditional designs from Peru. 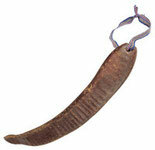 Great for kids as it is on a sting so they wont loss it. Ocarina from Peru. 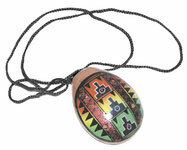 Handmade and painted with traditional Nazca designs. colors vary. 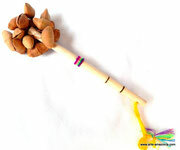 Peruvian seeds, nuts and beads make this a wonderful additional to your musical ensemble - shake, rattle & roll! 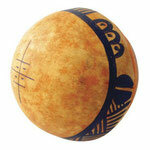 This hand carved 30cm djembe jammer sounds awesome and is priced at an affordable range. Quality drum for all ages! Ethnic designs vary! Made in Bali and hand painted this 30 cm wooden drum is a great value and easy to transport. Great for children and drumming circles!